Perhaps it’s impossible to stop corruption in the Philippines. But we need to use a strong word like STOP to protect the public funds from our dishonest and selfish government officials. Of course there’s still a number of leaders in our nation who are honest and conscientious. But with the reality that our country is facing right now, I doubt if that number is big. 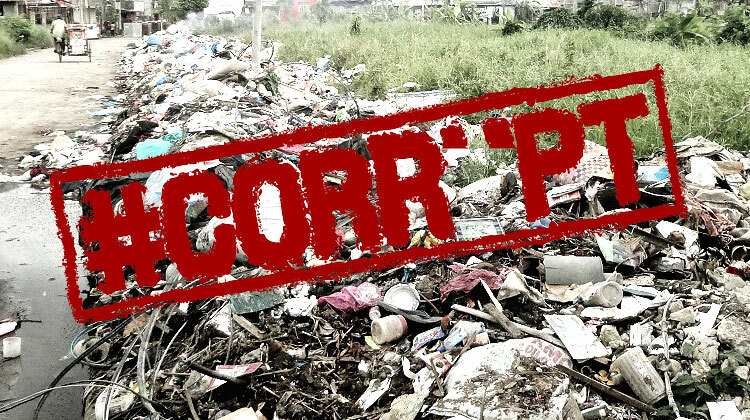 Corruption is a persistent cancer that’s killing our country and destroying the lives of many Filipinos. It’s like a contagious disease that infects and transforms the young generation of leaders from righteous ones into wrongdoers. If this disease persists any longer, our present and future will be in big trouble. So without further ado, I’m sharing the following 10 solutions to fight corruption in our native soil. Corrupt voters give birth to corrupt politicians. In order to stop corruption, we have to start eliminating it at its birth, that is, during elections. Most of us are aware that vote buying is illegal. But actually, vote selling is also prohibited by the law. According to Section 261 (a), Article 22 of the Omnibus Election Code, both vote buying and vote selling are prohibited and punishable. In other words, it’s not only the candidates, their supporters, or the vote buyers who can be found guilty of an election offense, but the voters or vote sellers can also be punished according to the code. I know it seems impossible to arrest all vote sellers and put them in jail for committing an election offense. There’s no prison that can accommodate all the Filipinos who sell their votes during elections. Just imagine how many are they? It could be a large percentage of the Philippine population! But I believe many of those who sell their votes are not aware of the law. So to decrease the number of vote sellers in the Philippines, the COMELEC and other concerned agencies should do their best to educate and warn all voters across the country. Informing people through the Internet and social media isn’t enough since 2/3 of our population don’t have a good access to the Internet yet. Our government have to increase efforts to reach, educate and warn voters in the rural areas. Vote selling may be difficult to prove and vote sellers may not be punished in jail, but if they’ll become aware that their acts are against the law, they might just be punished by their own conscience. Moreover, vote selling and vote buying in the Philippines become a great problem because they are usually organized from the national to the barangay level. Hence, it would be a better solution if the government can obliterate these organizations or vote brokers (whether they are inside or outside the government), who manage the wide corruption of votes in the Philippines. Majority of politicians in the Philippines are rich and generating income from businesses. Even the poorest mayor in Metro Manila has a net worth of P3.31 million. Therefore, the BIR should not only focus on examining small business owners and professionals, but should also concentrate on investigating the politicians and the companies that are fully or partially owned by them. The government should not only require public officials to submit their financial statements or statements of assets and liabilities, but they should also assess or audit these public officials annually and make their statements available to the public. This way, the public will know how they are earning income and increasing their net worth, whether it’s coming from their salary or from their business. Public officials should be a role model of public trust. They desire to be in a public office. Hence, they should not complain if they will be required to undergo annual tax examination. 3. A more effective and efficient tax system. Solution #2 won’t be effective if our tax system will not be improved. To effectively and efficiently collect taxes from taxpayers, especially from politicians, we have to upgrade our tax system, make registrations/tax declarations/payments online, and eliminate unnecessary regulations that only make our system more complicated. The BIR should not only invest in human resources, but also on technology like what Singapore and other countries that have a more efficient tax system are doing. Creating a better tax system is a job that must be initiated by our congressmen and senators – the lawmakers. Thus, they have to consult not only with the BIR, Department of Finance and DTI, but also with various independent tax experts, the business sector, and other taxpayers who are affected by our tax system. The Civil Service Commission is the agency mandated to promote and administer efficient and effective personnel in the government. They should see to it that the Anti-Red Tape Law or RA 9485 is well enforced in all government offices. Government employees can also commit corruption. If they don’t do their job to serve the public well or if they don’t work for the hours the government is paying them, that’s already a form of corruption. Thus, the CSC should ensure that all government personnel are doing their job well and complying with the Anti-red tape law and other applicable laws in our country. They should obey the no noon breaks policy, should work beyond 5pm when necessary, and should not commit fixing or connive with fixers. But when is the last time that the CSC conducted surprise examination to check if the Anti-Red tape law is obeyed by government agencies? They should do it more frequently. Installing CCTVs on all government and public offices can also be a better solution. The Commission on Audit is the government agency responsible for examining, preventing and reporting frauds happening in the government. But are they doing their job efficiently? Scams are already uncovered and reported to the public after 3 years or more. Just consider the current Pork Barrel scam. As an accountant, I know that timeliness is key to relevance. If frauds are reported late, it’s already difficult to recover the funds misappropriated by the culprits. Corruption in the government should be detected earlier, not after 3 years or 5 years. If COA cannot be efficient, then why not we consider hiring independent auditing firms to examine the financial statements and transactions of our government bodies? The Securities and Exchange Commission or SEC is the commission that is responsible for regulating all corporations and partnerships, including foundations in the Philippines. But look at what happened to the foundations involved in the Pork Barrel scam? Think of how Janet Napoles use those foundations to hide all her illegal transactions. To avoid this kind of scam from happening again, the SEC should set stricter rules for regulating all corporations, especially foundations in the country. They should ensure that all the members and board of trustees of any foundation are real and in good faith. The Senate, under Senate Bill No. 1733, has already passed the Freedom of Information Bill. Once enacted, the FOI bill will require government officials to act or comply with the request for information within 15 working days. It will grant citizens the right to access records or information under the control of the government, with some exceptions. The FOI Bill is a good solution to fight corruption in the Philippines. So let’s hope that it will be enacted as a law soonest. But though it will be a good solution, its success will still depend on its implementation. Thus, the government should do its best to make sure that the law will have a clear implementing rules and regulations, and that it will be enforced effectively as intended. We have existing good laws in the Philippines. The problem is the low integrity of our justice system. Our laws, themselves, suffer from injustice because they aren’t respected and protected by the authorities that should be protecting them in the first place. Corrupt politicians and government officials are not usually sent to jail. To improve the integrity of our justice system, there should be a collaboration among the DOJ, Office of the Ombudsman, PNP, NBI, courts, and the civil society to uphold justice in our country. There should also be a more effective witness protection program to make sure that all witnesses or whistle blowers, including their families will be safe and protected. Moreover, they should be rewarded and well-compensated to support their family while they are under a witness protection. Being a politician or a public official is one of the greatest profession in the world. It requires a lot of leadership skills and knowledge in law, economy, ethics, humanity and others. To make sure our government officials, senators, congressmen, mayors, governors, et cetera are currently capable in doing their respective job, they should be required to have a minimum credit units of continuing professional education every year. If they can’t comply, then they should be fired out from their positions. Another solution is to implement a quota requirement for all legislators in our country. Senators and congressmen, as their main job is to create laws, should maintain a certain number of laws proposed or passed every year as a quota. Pork barrel should definitely be abolished so that they can only concentrate in enacting useful laws that can make our country progress and make the lives of the Filipinos better. If all else fails then the last solution to reduce corruption in the Philippines is simply to reduce the number of government officials in our country. We have so many lawmakers. We have around 292 congressmen, including party-list representatives. If our house of congress cannot produce a good number of useful laws, then why not consider decreasing the congressional seats to limit only to capable representatives? We also have a lot of barangay officials across the nation, whom can only be used as brokers of vote selling and buying during national elections. Although barangay officials can be helpful, as there are actually honest officials in this level, we have to consider whether barangay elections can be beneficial in the national level. Which of the above do you think is the best solution to fight corruption in our country? Do you have any other solution to share with us to stop or at least weaken corruption in the Philippines? Don’t hesitate to share your comments below. Hello Sir Vic, I worked and live in Hongkong for 15years, from 1991-2006 – I remember shoplifting a $1. Hongkong dollar pen, is lifetime criminal record. (One example, is the son of the CEO of HangSeng Bank, he steal one CD from a Retail Shop, it made a big issue or headlines in all news media – i forgot what year is that) In the Pinas, Government Officials Billion Dollars Corruption, Scam, Annomalies, Over Pricing Project, they still living like a King. Mayabang pa na nakanakaw sila sa budget nang Government , it must be a Criminal Record and no more position in any Government Offices or Agency. I will contribute to finance an Ads that say don’t Elect Candidates that engage in Vote Buying and giving MILLION PESOS PADULAS TO COMELEC OFFICIAL. In the Comelec offices, only assign media people and public School teachers work as temporary workers with pay as Comelec officials and watchers. No Election – No Comelec, gov’t can save money. Hi Sir Felix. Thank you for sharing your story and insights. Indeed we have to make our next elections, particularly the 2016 elections way better, cleaner and faster. In Canada, to save voters from their precious working hours. Any qualified and or valid voters, can vote any day of the month before the election day, by personally going to polling stations or by online voting. No need voters ID, show your Canada Passport or Certificate of Citizenship ID to qualify – they will sign up for you, they can scan your document too., fast and easy (Passport, Social Insurance Number and Citizenship ID are the same Number for ever, Bar Codes readable documents (only with expiration date.) Only two persons setting in their computers in the polling station except at week-end (and they are urging people to join in voting process because its very low turn-out, they are very busy, they said) No watchers, No Comelec officials, no security, no police, no candidate supporters, very quite, and no other person can intervene in the polling station. All computers are hooked up on-line to Comelec main data base. Polling station are open at weekends to let people vote on their free time (not on their working hours) Manipulating and /or intervening in the Election Process is Criminal Offence. ( Bisan kami naboto kami gihap dito, So kahit nasa Leyte ako makaboto pa rin ako on-line, minsan Pumunta ako sa office nang Congressman or Member of Parliament walang tao sa office nila except one secretary and ako lang, pero Filipino pa rin kami. there is no place like home.) Can we do this in PINAS? intervening and Manipulating Election Process is a Criminal Offences? Hi Michelle. Thanks for sharing your thoughts and sentiment. It would be interesting to write about what the youth can do to fight corruption in the Philippines. We will try to write a post about it. We are also open for contribution of articles from our readers. Do you have any suggestions for what a foreigner can do in their own way when living here? Since I don’t think I’ll ever have the chance to vote in this country. I will never accept a bribe/fix situation, and will make a loud noise about it if anyone offers. First of all i want to say that in 2010 I did not just fell in love with a wonderful Pinay, i also fell in love with the beautiful country and it s people. So i ask her Father for permission to marry her and we got married march 18, 2014 in Hong Kong. Unfortunately my beloved wife passed away september 6, 2014 and the terror of corruption started with my father in law, when my wife died, i was working in germany. My father in law gave wrong information to the doctor, telling him she was single in order to become the sole legal heir because we got a conjugal bankaccount in Iligan City. Now i am trying to get a corrected death certificate to withdraw the money. i spent already a lot of money to the nso in manila to get our marriage registered to proof that I am the sole legal heir, now the lawyer in charge at the nso branch in Iligan is asking more and more papersand for every paper to sign he ask between 5000 to 7500 piso…and of course he dont give a reciept…now i m bankrupt for i am not rich and i cant get the corrected death cert to change my marital status and withdraw the money…please, is there anyone who could give me a good advice how to stop that vulture to rob me?